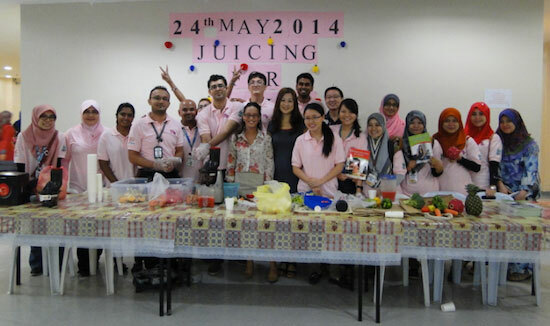 Saturday, 24 May 2014, we held a Juicing For Health Talk at the Penang Hospital in Malaysia. 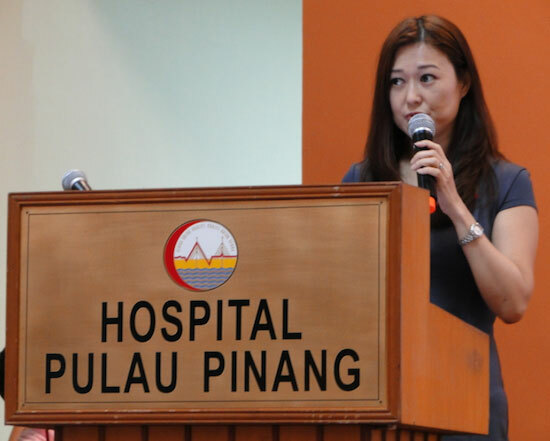 The event was organized and sponsored by the PINK Penang Breast Cancer Support Group, Society of Surgeons Penang and the Penang Hospital. It is refreshing to note that hospitals are now opening up to the idea of nutritional healing. 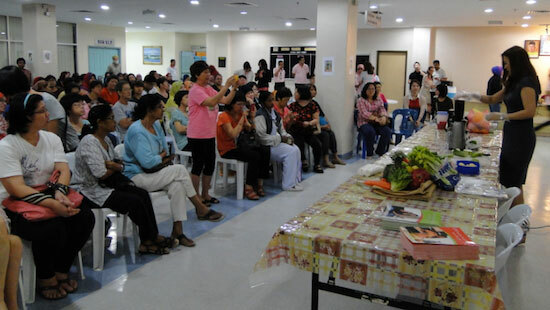 The talk was centered around the health benefits of juicing, eating healthy, and how juicing can help prevent/reverse lifestyle diseases, followed by a demo on juicing. 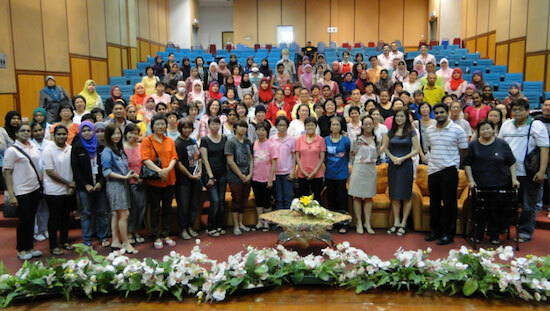 The talk was very well-received by the participants, and inspired many to want to start juicing. Pre-Talk juice preparation. 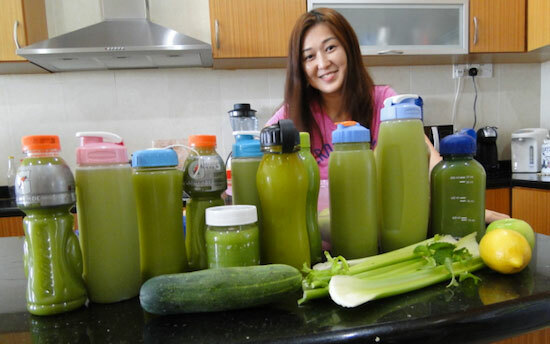 We prepared about 10 liters of green juices for sampling, expecting about 130 participants. 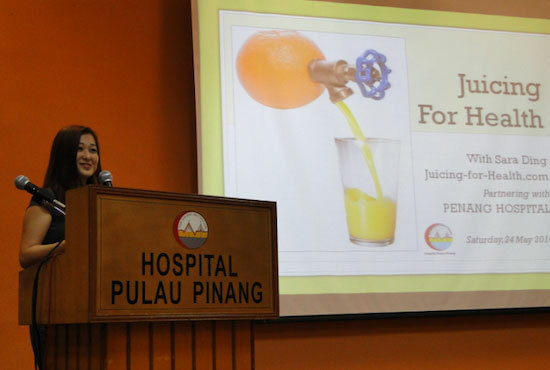 Sara Ding, the Juicing Expert, Certified Wellness Health Coach & Nutritional Consultant, sharing about the Health Benefits of Juicing, at the Penang Hospital. 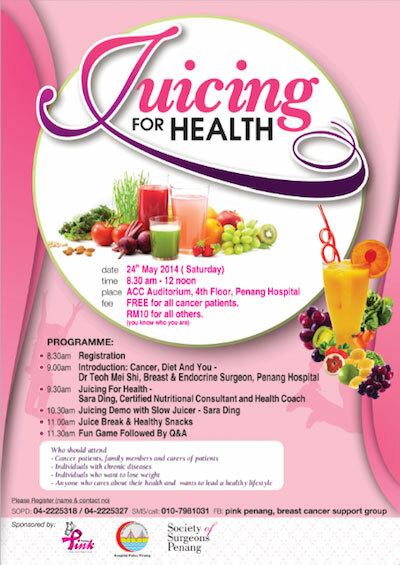 Juicing For Health Talk, partnering with the Penang Hospital. 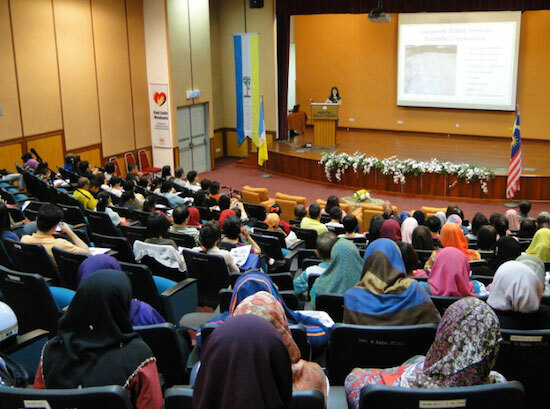 Attentive audience in the auditorium. 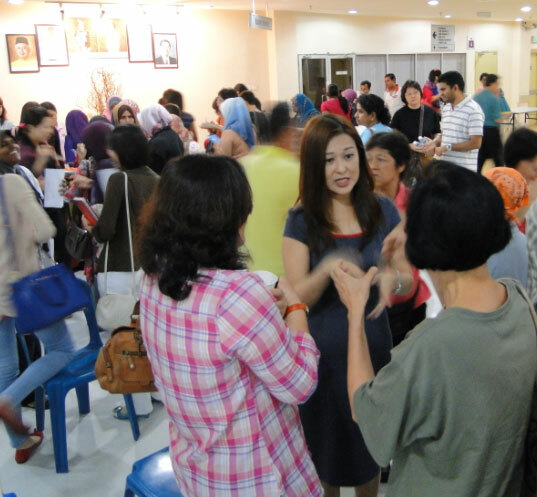 More than 130 people attended the Talk. Juicing demo outside the auditorium. Juicing demo by Sara Ding, using the Kuvings Wide Mouth Slow Juicer. With the organizing team. Well done!! Mingling … personal discussions with attendees. To all those who were involved and were there to lend your support, a BIG thank you for making this event a very successful one! Read about Sara’s Corporate Wellness Service or Sara’s Healing and Rejuvenation Program (SHARP). Great website and very informative for someone like myself, I have been using juicing for the last year or so and have had great success and also reduced health issues I had with my weight. I have started my own website, trying to provide recipes, tips and more in the industry, of course I am targeting my own country.